Spray adhesive on back of stencil and apply to apron pocket. Tape off all areas of apron to remain white. 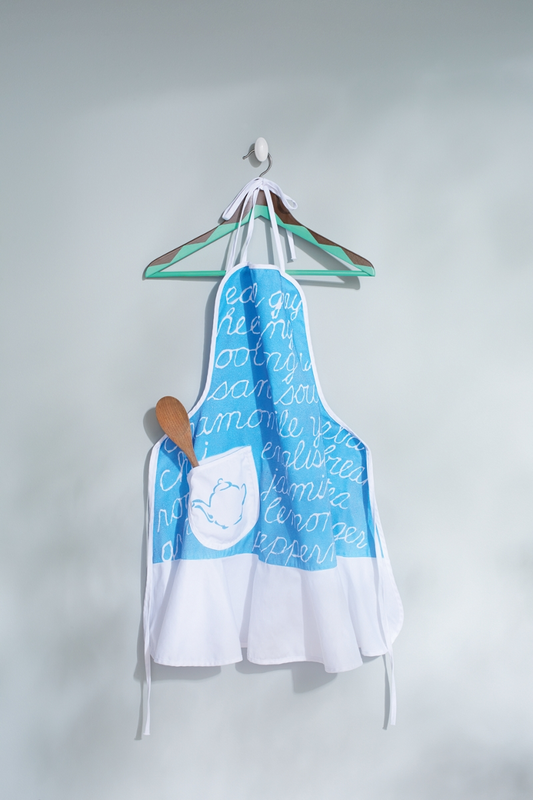 Lightly draw parallel lines with pencil onto apron and sketch out the desired words. We use types of tea leaves. Using hot glue gun go over your penciled letters and let dry. Lightly spray over apron with Krylon® Metallic Shimmer Blue and let dry. Apply a second light coat if necessary. Let dry. Peel glue off of fabric and remove tape.